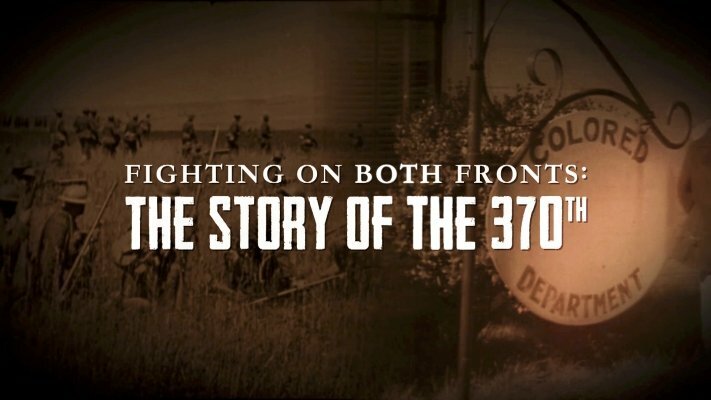 FIGHTING ON BOTH FRONTS: THE STORY OF THE 370TH tells the little-known story of a unit of African American soldiers from Illinois, largely from Chicago's Bronzeville neighborhood, who fought in combat for the United States under the French during World War I. They fought on two fronts: the war against the Germans and the war against racism and inequality. During a period when African Americans struggled tirelessly for basic human and civil rights, these soldiers marched off to war to show their patriotism and loyalty to the United States. But when they returned from war they realized that, despite their sacrifices, the country still denied them civil rights. The 370th had the distinction of being the only Black regiment completely staffed with black officers. For its actions during the war, members received 21 Distinguished Service Crosses, one Distinguished Service Medal and 68 Croix de Guerre.